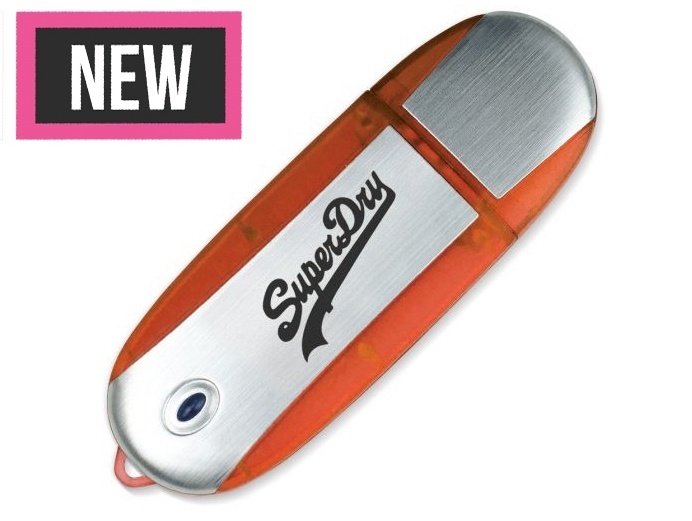 An extremely popular Oval shaped USB flash drive with colorful plastic trim and large brushed metal area, available it a range of vibrant colours. Perfect to upload documents or information to give to the clients, this Oval USB drive can be printed up to four colours or laser engraved with your logo, making it a perfect promotional gift. Example price for a product with up to 4 colour print on both sides. Due to price fluctuations on flashdrives, please email us for the latest prices.